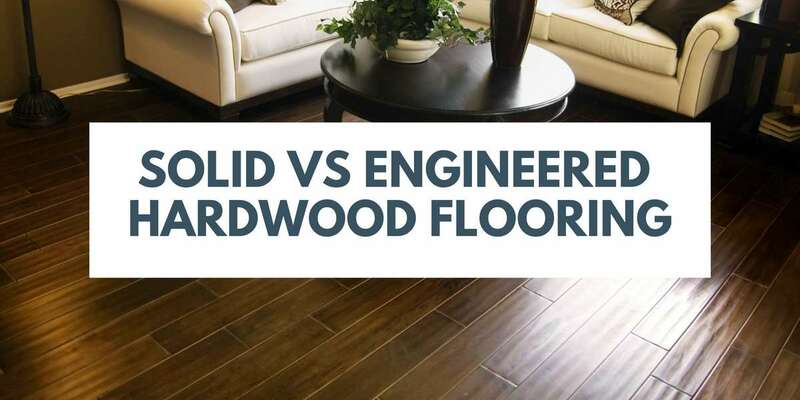 Both solid and engineered hardwood are both 100% hardwood flooring. They differ in how they are put together. While solid hardwood is a single plank of wood, engineered hardwood is several layers of plywood with a hardwood veneer on top. Both of them are then stained and finished. With solid hardwood, you also have the option of buying unfinished hardwood flooring and having it stained and finished after installation. This has advantages in that you can choose from a wide range of stains and finishes, making it easy to match existing flooring or getting a unique look to your floors. The finish on an engineered hardwood will usually hold up better than an on-site finish, however. Both solid and engineered hardwood are highly durable and can be refinished. There are limitations to how many times you can refinish engineered hardwood, however, depending on how thick the top layer of veneer is. For dents and scratches, it is going to depend on the type of wood that you have. A harder wood, like oak or hickory, is going to hold up better than a soft one, such as birch or cherry. Hardwood’s biggest weakness is water. If you are looking at an area that has the potential for any changes in moisture or humidity, engineered will hold up better than solid. Generally speaking, solid hardwood is going to end up being more expensive per board. 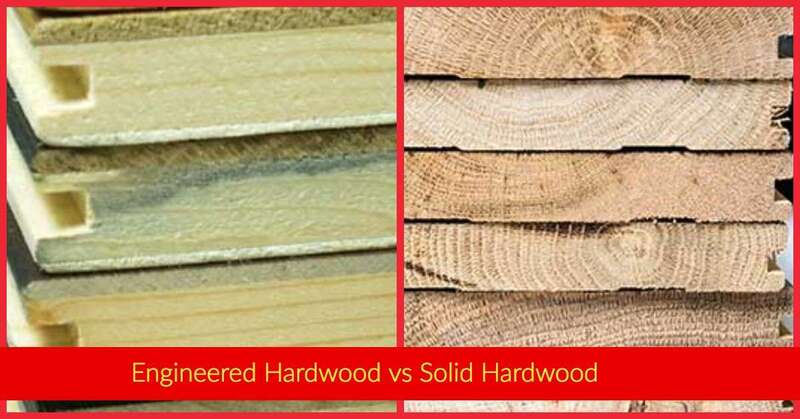 The type of wood and finishes that are applied to it can cause the price to vary quite a bit. Engineered hardwood will usually be less expensive; however, some premium versions are just as expensive, if not more, than solid. Solid and engineered hardwood are both beautiful flooring options that look great and last for a long time. Knowing how they compare can help you to decide what type of flooring will work best for you and your home.